Fire pistons use a centuries old technology that capitalizes on a physics law, that rapidly compressed air generates heat… enough heat to ignite certain tinders. Fire pistons were discovered over 200 years ago in South East Asia and were brought to Europe where they were demonstrated among the scientific community, eventually leading Rudolph Diesel to invent the Diesel Engine. 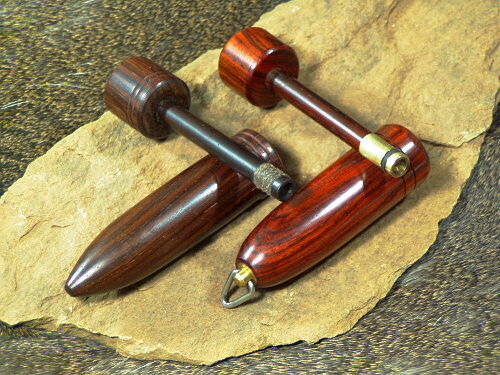 Fire pistons were originally made out of bamboo, bone, and horn. The gasket was made of string fiber and lubricated with dog fat. Different tinders include true tinder fungus, mullein pith, milkweed pod ovum, milkweed down, cattail fluff, poplar cotton, and wood punk. The tinder is placed in the end of the piston which in turn is inserted into the cylinder. By striking the piston down briskly, the tinder is ignited by the heat of compression, instantly becoming a glowing ember. The ember is then transferred to a waiting bundle of tinder which is coaxed into a flame. I bought my first fire piston about 8 years ago and had fun until the wood grain separated, thus creating a leak – causing a lack of compression. As a reproduction of a centuries old fire making device, the string gasket fire piston is a treasure. But for unequaled performance, the 2nd Generation fire piston is now being produced that consists of a brass cylinder and piston that are incorporated into the traditional wood materials so that the look and feel are the same, but the durability is unlimited. It also uses a rubber “O”-ring that is consistent and replaceable. In addition, it has a patent-pending pressure-relief valve that allows easy stowage of the piston within the cylinder. The fire pistons in the photo illustrate the difference in construction between the old and new technologies. I have enjoyed using both of them. 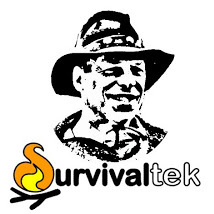 You can order your own fire piston from the Survivaltek Store. Each kit comes with charcloth and instructions. This entry was tagged 2nd Generation, Ember, Fire, Fire Piston, Firecraft, Tinder. Bookmark the permalink.